“Pattern is a web mining module for the Python programming language. Below python script illustrate some of the functionality of Python Pattern. I intend to use some of the functions for the google search module developed previously. The script crawl a particular website, get the plain text of the web page and processed it to remove short sentences (eg links) . After which it will get the top x number of high frequency words found in the web page. After which it will search for all the phrases in the text that contain the high frequency words. The script still require a number of improvement. For example, keyword ‘turbine’ and ‘turbines’ should be same word and need to classify as one word.
""" Scrape plain text from a web site. web_address (str): web http address. (str): plain text in str. ## s is html format.
""" Take in html and output as text. html (str): str in html format.
""" Return paragraph with sentences having certain number of length limit. raw_text (str): text input in paragraphs. len_limit (int): min word limit.
""" Split the raw text into list of sentences. (list): list of str of sentences.
""" Return list of sentences with number of words greater than specified len_limit. sentences_list (list): sentences break into list. (list): list of sentences with min num of words.
""" Return number of words in a sentence. Use spacing as relative word count. Count number of alphanum words after splitting the space. sentence (str): Proper sentence. Can be split from the tokenize function. (int): number of words in sentence.
""" Method to get the top frequency of words in text. top_count (int): number of top words to be returned. filter_method (method): special character to ignore, in some cases numbers may also need to ignore. exclude_len (int): exclude keyword if len less than certain len. default 0, which will not take effect. (list): list of top words """
""" Method to return phrases in target text containing the keyword. The keyword is taken as an Noun or NN|NP|NNS. keyword (str): can be a series of words separated by | eg "cat|dog"
phrases_num_limit (int): return  the max number of phrases. if 0, return all. provide limit to each keyword.
""" Method to remove duplication in the key word. target_wordlist (list): list of keyword str. (list): list of keywords with duplicaton removed. ## random web site for extraction. ## extract the plain text. ## modified plain text so that it can remove those very short sentences (such as side bar menu). ## Begin summarizing the important pt of the website. ## first step to get the top freq words, here stated 10. ## Exclude len will remove any length less than specified, here stated 2. ## The pattern.en parser groups words that belong together into chunks. 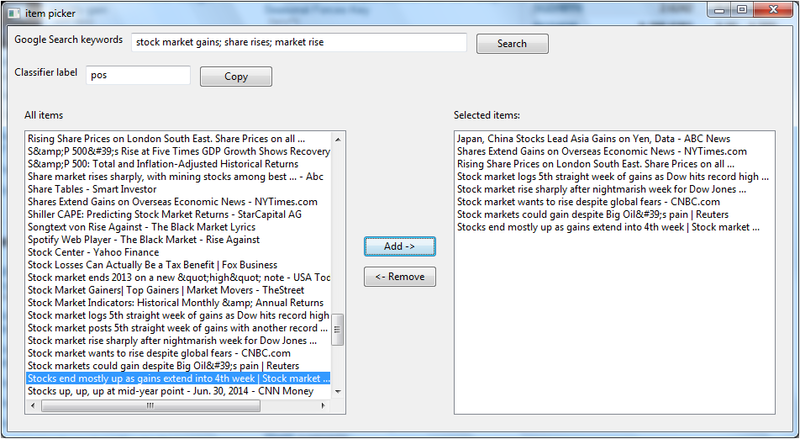 ## get target search phrases based on the top freq words. 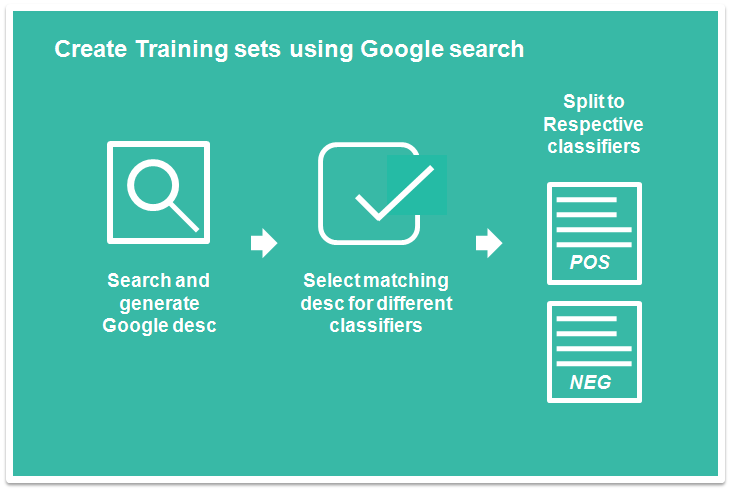 In NLP, sometimes users would like to search for series of phrases that contain particular keyword in a passage or web page. NLTK provides the function concordance() to locate and print series of phrases that contain the keyword. However, the function only print the output. The user is not able to save the results for further processing unless redirect the stdout. Below function will emulate the concordance function and return the list of phrases for further processing. It uses the NLTK concordance Index which keeps track of the keyword index in the passage/text and retrieve the surrounding words. Function to get all the phases that contain the target word in a text/passage tar_passage. ## Collect the range of the words that is within the target word by using text.tokens[start;end]. he learned that lesson. And he just lived happily ever after!"""